So you have created this beautiful website, added excellent content and now what? Your site is still new, and rankings in the search engines are not on the horizon yet. But do not fear. 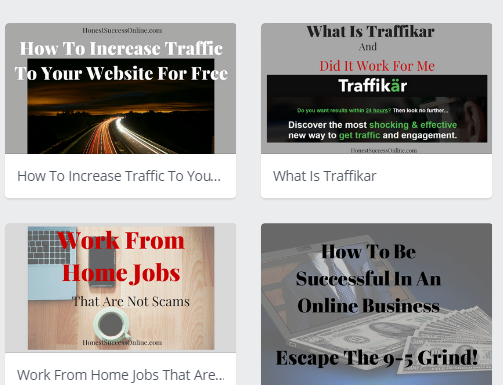 In my post How To Increase Traffic To Your Website For Free, I suggested five different ways to get more visitors to your site. Today, I am going into more detail about how to brand and ultimately how to promote your site for free. Just hitting the publish button after you have finished a post is not enough anymore. You want to get the word out about your website. You want as many people as possible to know about it, right? As your website evolves, it will become more clear to you, how you want your site to be perceived. I always recommend to either create a simple logo that represents your site and a brand name which you can use on the homepage and your images. So what does building a brand mean for your site? A Logo: that could be an image or your domain name; in my case, my domain name is also my logo. Identity: that could be the tagline or your values ⇒ what is your site about or what is your mission statement. That is vital because it will define the purpose of your site. My tagline is Tools and Resources for a successful online business. Use of colors: no more than 2 or 3 flat colors (the website loads faster when you use flat colors), use the colors from your WordPress Theme to keep the Logo and Theme aligned. You can keep it as simple or do it as fancy as you want. Once you created your brand stick with it because that is what makes your site unique to others. Once you have created your brand, it will be much easier to promote your site, especially on social media. Ideally, for each post, it’s good to have a featured image that you can easily share on social media platforms. To make your brand easy to recognize, I recommend using the same font style, background and font color (pillar number 4) as you use on your website. People are visual. That’s why YouTube, Pinterest, and Instagram have become hugely popular. When I started off with my first website, it took me forever to create a blog post image or Pinterest graphic. From an hour back then it only takes me 15 minutes now. How did I simplify the process? First up, the best graphic design tool to use is canva.com. It is free and easy to understand, even for beginners. Just have a play around. Canva also has a great video tutorial on their site. For free images I use pixabay.com. For more free tools, read my post How To Improve Your Website – Free Tools For You. When I created my site, I decided on a font for my website name which is my logo at the same time. If your theme has a particular color, try and use the same color in your images as well. Write the color code and font name on a piece of paper so you can always refer to it. That way it is more efficient to create images for your post, and it only takes a few minutes. In my opinion, eye-catching images are essential to promote your website. As outlined before it doesn’t take a lot of time to create a picture. And it is actually quite fun to be creative besides researching and writing content. Instagram and Pinterest are all based on images. If the pictures don’t draw attention to the users of these social media platforms, you won’t gain many followers or get many repins, etc. Show people that there is a real person behind the website or blog. All these points will be helping you to promote your website, to establish your brand as an authority site (over time) and most of all help to communicate with your audience. First up, it can be time-consuming to keep up with sharing, posting and following other people. There are many helpful tools on the market which are free to use or at least have a free trial. They help you keep the hassle out of social media marketing. You probably have heard of Buffer, Hootsuite, and Tailwind before. The most challenging part I have discovered is to get shares and to gain followers (unless you are posting multiple times a day and are very active). Every social media has got their own advantages and rules. Who you should follow etc. My tip is to focus on one or two social media platform you feel most comfortable with. Take the time to familiarize yourself with the medium. My favorite ones are Pinterest, Facebook, and Google+. With the likes of these three platforms, I just recently discovered an excellent tool that will help you get shares and likes on Facebook, Pinterest, and Google+ 1 as well as YouTube subscribers, Twitter followers and much more. 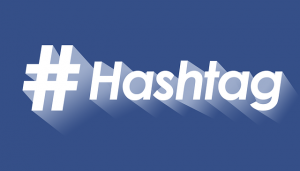 Besides posting on social media, the right use of the #tag is necessary. The proper use of a hashtag acts like a keyword. It is a way how people can find your content. So if I post on Facebook or Pinterest and type #affiliatemarketing as a hashtag, my post will come up when people use this search term. The beauty of it is that one can use multiple hashtags. That is a fantastic way to not only describe my post but also use it as a category or as a tag. The more specific you are with the hashtags, the more likely you will attract an audience that is interested in your posts. And vice versa, people will find content that they are interested in. To promote your website, start off with creating a brand. Think about what the identity of your site is and what audience you want to attract to your site. From there, use the same fonts and colors (pillar four) for creating images you are going to share on your favorite social media platforms. Choose one or two to get started. By using the same fonts and colors, people will recognize your brand. It makes it easier to gain shares and followers. 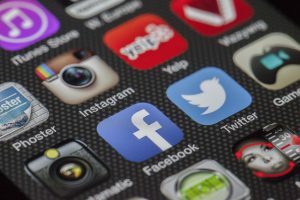 Connect and engage with your audience via social media and show them, who is behind the blog/website. Since sharing, following, posting, pinning, tweeting can be very time-consuming, you might like to use some tools like Buffer or Hootsuite. 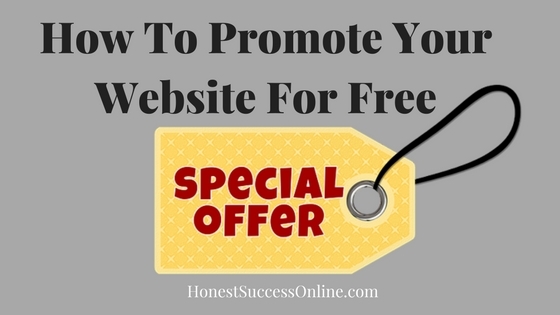 I do hope my post gave you some ideas how to promote your website for free. 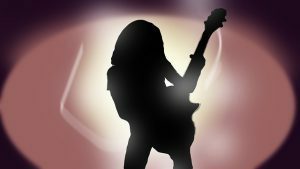 Have fun and Brand Yourself Like A Rockstar! What is your preferred social media source and why? Please leave a comment below. I’d love to hear from you!